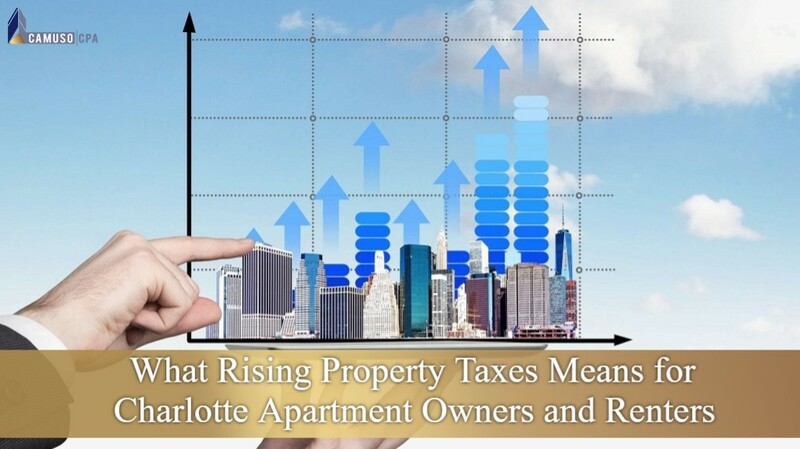 Mecklenburg County will be issuing 365,000 property tax valuations this January. This will impact not only apartment owners and real estate owners but also renters. While property taxes typically have the biggest up-front impact on homeowners, who get the bills directly, this year’s revaluation is raising property values far more for commercial properties. That could mean higher property taxes for those apartments when bills go out in July, and apartment owners are likely to pass at least some of that increased cost to tenants. According to the U.S. Census, almost half of the residents in Charlotte rent. The county plans to finish its initial revaluation of every property in Mecklenburg by the end of the year. Some of the commercial properties that are likely to see the biggest tax increases since the 2011 revaluation appear to be older apartments, many of which have been bought by investors in recent years. If you searching for local CPA firms in Charlotte to assist you with reporting income and capital gains, contact Camuso CPA. Whether you need tax preparation services, assistance with properly reporting gains and income from real estate on your taxes or any other service provided by a certified accountant, Camuso CPA can help. ©2017 Camuso CPA PLLC. Do Not Copy. All Rights Reserved.